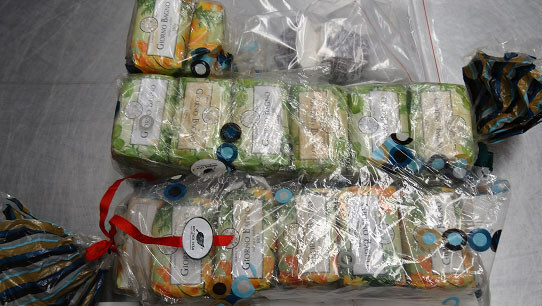 Australian authorities have charged a 91-year-old Sydney man with importing cocaine disguised as soap, as they warned travelers against becoming unwitting drug couriers. Federal police said the suspect was charged in July over 4.5 kilograms of cocaine allegedly brought into Sydney in his luggage from India. “A search of the man's luggage discovered 27 packages of soap,'' police and the Australian Border Force said in a statement. The elderly man appeared in a Sydney local court today. He told reporters outside that he had been taken advantage of, Australian Associated Press reported. However, acting assistant commissioner Wayne Buchhorn warned that travelers could be prosecuted even if they unknowingly brought drugs into the country. “Claiming ignorance of drugs hidden inside your luggage does not automatically mean you will not face criminal charges,'' he said.